Lara’s final and “most defining” chapter is almost upon us. 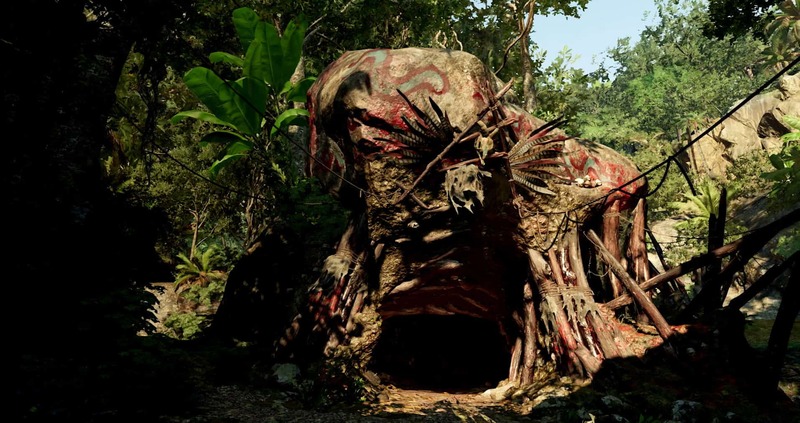 Square Enix has announced that the Tomb Raider will be traversing the jungles, temples and yes, tombs, of South America. As such, the publisher has revealed the franchise’s biggest hub city to date: the Hidden City of Paititi. The Hidden City of Paititi is not just the game’s central hub, however. Within the city walls, Lara can “barter” for new outfits, weapons, and also get information on where to go next, or what side missions to do. 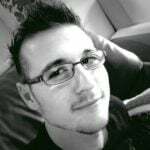 Square Enix also states that there may be challenge tombs and hidden crypts hidden away in the huge hub. In the video above, you can see just how expansive the Hidden City of Paititi really is. 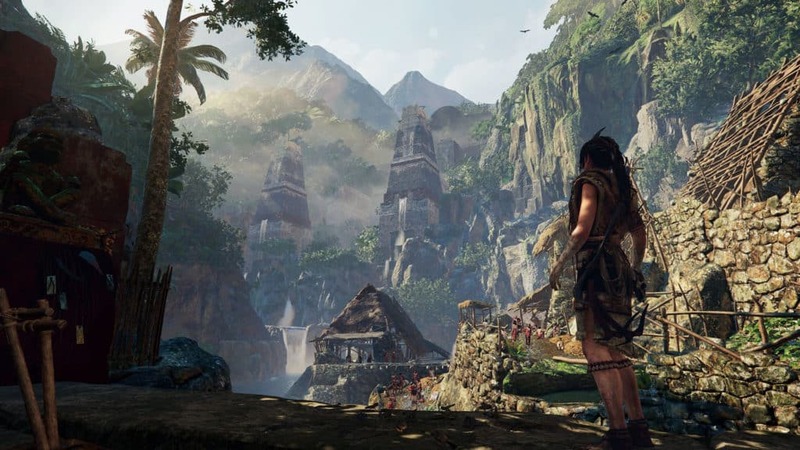 According to Jason Dozois, the narrative director on Shadow of the Tomb Raider, Paititi is home to “civilisation untouched by modern culture and filled with challenge tombs and side missions”. It will have multiple districts, such as fishing or residential areas. By traversing the areas and exploring everywhere, Lara will become more adept at translating what the locals say. For an “untouched civilisation”, the marketplace seems to be very good at bartering with Lara. There, she can buy crafting material, gear, and weapons that will enhance her skills in combat. By doing side missions and talking with the locals, Lara will gain experience that will help her level up. Dozois also explains that this may unlock more information that will grow the narrative. It is not clear whether this means that new options will open up in the main mission, or whether it just expands on the lore. Whatever the case may be, it seems pretty dang sweet. Later in the video, Dozois explains that difficulty can be set for individual aspects of the game: puzzles, exploration, and combat. Setting the exploration difficulty to hard, for instance, will remove the paint that shows you where to climb. This ups the immersion by tenfold, in my opinion – which is great since I usually play adventure titles at one difficulty higher than normal. 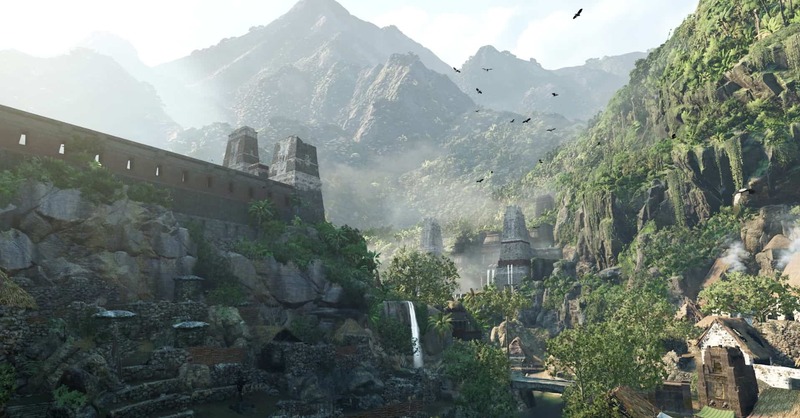 If anything, exploration in Shadow of the Tomb Raider is only more nuanced and more challenging than anything before. The Hidden City of Paiti alone has its own crypts and dungeons to explore, each of which will keep players engaged for hours. They will also require new skills such as swimming and repelling in order to be overcome. The video is a nice look at things to come, and definitely a must see for anyone looking to pick the game up before launch. LEGO Star Wars: The Force Awakens is coming!